Oxford Second Presbyterian Church is a member of the Presbyterian Church (USA), a denomination rooted in the Reformed tradition and primarily brought to this country (in the 1600's) from Scotland and England. The PC(U.S.A.) is a church of great diversity. But while differences exist within our denomination, we are unified by our beliefs and traditions, and guided by the Bible and our Book of Confessions. This is our compass, and it gives us clarity as we seek God's purpose for us in a constantly changing world. 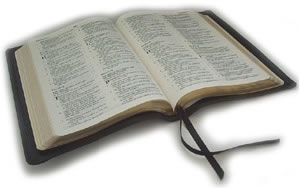 That the Bible is the inspired Word of God, and the most authoritative source for faith and practice for all people. As Presbyterians, we affirm that Jesus Christ is head of the church. We believe that we are children of God, called to follow Jesus Christ, remembering that he came not to be served but to serve. We worship joyfully and reverently, seek to study the faith of the church, give of ourselves in service out of gratitude to God, and enjoy the gift of life in community with one another. Want to know more? Come worship with us. Join one of our study groups. Ask questions. Learn more about Presbyterian core beliefs and practices here. You can also find more in-depth information about our denomination and what we believe at the PC(USA) website. May God be with you in your journey, and please let us know how we can help!